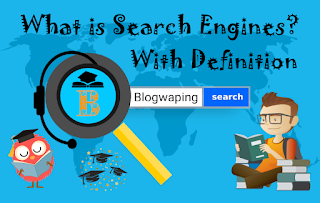 Search Engine is a program that searches and recognizes elements in a database that is used by users to specify specific keywords or characters, especially to find specific sites on the World Wide Web. An Internet Search Engine is a software system designed to execute a Web Search. That means the systematically searching for specific information specified in the web search query to the World Wide Web. Search results are usually presented in a line of results, that we called as search engine result pages (SERPs). The information can be a mixture of web pages, images, videos, articles, infographics, news and other types of files. Search engines also maintain information in real time by running an algorithm on a web crawler. Internet content that can not be searched by a normal web search engine is generally searched by the Deep Web. 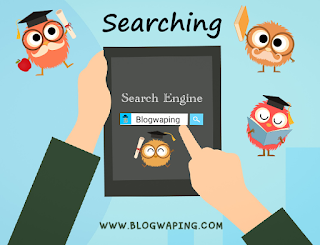 A Search Engine is a web-based software that helps Internet users to search a database of information according to the user's keyword through the World Wide Web (WWW). The engine provides a list of web content that best matches what the user is looking for. The results may be in the form of websites, images, news, videos or other online data. This list of content returned by a Search Engine is known as a Search Engine Results Page (SERP). Today, there are many different types of Search Engines available on the Internet, each with its own features and capabilities. Today, Google is the most popular and well-known Search Engine on the Internet. Other popular Search Engines include Bing, Yahoo, Baidu and many more. Each search engine uses several complex mathematical formulas to create search results. The results for a specific keyword are displayed in the Search Engine Result Pages. Search engine algorithms use key elements of a web page, including page title, content and keyword density, and gave a ranking of where the results are placed on the page. Each search engine algorithm is unique, so a higher ranking on Bing or Yahoo! It does not guarantee an expected ranking in Google, and vice versa. To make things even more complex, the algorithms used by search engines are not only closely protected secrets, but they are constantly undergoing revision and modification. This means that the criteria to optimize a site better must be assumed through observation, as well as trial, and not only once, but continuously. To make it easier, think of a search engine as two components. First, a web crawler/spider crawls the web for content that is added to the search engine index. Then, when a user queries in a search engine, the most relevant results are returned based on the search engine algorithm. Early search engines were mainly based on page content, but as websites learned to play the system, the algorithms have become more complicated and search results can literally be based on hundreds of variables. Although, there were a few numbers of search engines with a significant market share. Currently, Google and Bing control the vast majority of this market. Internet search engines itself predicted the Web's debut in December 1990. In 1982, User Search Dates and Great Information Services - Multi-Network User Search was first implemented in 1989. The first well-documented search engine that searched for content files, i.e. FTP files, started on September 10, 1990. The World Wide Web was fully indexed by hand prior to September 1993. Tim Berners-Lee was a list of edited and web server hosted on the CERN web server. A snapshot of the list remained in 1992, but as more and more web server went online, the central list can no longer be held. On the NCSA site, "What's New!" New servers were announced under the title. There is no search engine that is better than others. Some people might argue that Google's search engine is the best and it's probably the most popular and famous. Often, if someone asks how to do something, or what is something, someone else will suggest them "Google it". Here, people used "Google" as a verb, which means finding a result using the Google search engine. Microsoft's Bing Search Engine is also popular and used by many people now. Bing does an outstanding job of finding information and answering questions. Yahoo's search engine, while used to not be as popular as the first, still performs an excellent job of exploring information. Baidu is also the most popular search engine in China. I think this article should help you to know about Search Engine. 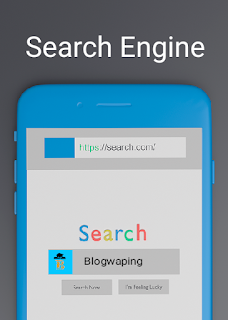 If, you want to give any opinion about Search Engine, Share your thought in the comment box. What do you know about Search Engine?